Hey everyone - friend of the APN, Alan Garfinkel and his California Rock Art Foundation have a great opportunity that I want to pass on to you. For just $62.50 (the APN is not being paid for this) you get a two-day trip in Ridgecrest, CA full of rock art, film screenings, and lectures on lots of rock art topics. Check out the link below and register before February 22, 2019. Sorry if it’s after that and you’re seeing this! Today’s episode is actually a recording of the first interview I did as a radio host at KNVC 95.1 in Carson City Nevada. They cut off the first few minutes so we pick it up with one of my next questions. I talk to Dr. Garfinkel about Rock Art, his career and how he got into it, and what it all means in the greater cultural context. Today we talk Vaughn Hadenfelt of Friends of Friends of Ceder Mesa. With 30 years of experience as a guide and interpreter in Bears Ears National Monument, he comes on to talk to us about Rock Art. What is it? How do we date it? Can we read it like a book? He also gives us an update on the Status of Bears Ears. Archaeologist and author Dr. Paul Bahn joins us on this episode to talk about the latest edition of his book, "Images of the Ice Age" from Oxford University Press. The book covers the history of rock art and rock art discovery mostly in Western Europe. This fascinating discussion will leave you thirsting for more rock art, and, wondering about the controversies mentioned at the end of the show! A series of three sites, Pictograph Cave is a site in Montana with some fantastic rock art, and, the site of one of the first archaeological investigations in the state. Located in Finland, Astuvansalmi is a massive collection of sites with the most amazing being the rock paintings. The pictographs date back to at least 3000 BC. Located on the Caspian Sea in Azerbaijan, Gobustan is a culturally rich area laden with rock art, artifacts, and amazing stories. The Coso lived in the eastern Mojave desert of east-central California. They created some fantastic rock art. But, what happened to them and why is there so much Rock Art? 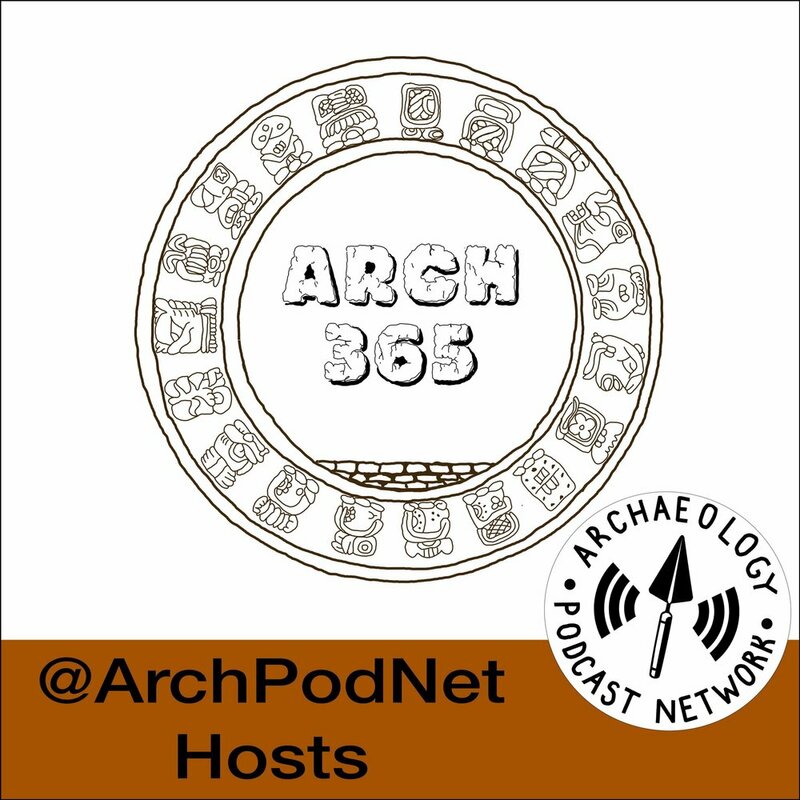 Dr. Alan Garfinkel Gold, Founder of the California Rock Art Foundation and expert in Coso Rock Art and tells us all about the Coso in three parts of Arch365. Cueva de las Manos - the Cave of Hands - is an awesome, and creepy, cave with a lot of rock art. The wall with many hand prints is especially interesting. Check out the pictures in the links below. On today's show, April and Chris interview Kaibab National Forest Service archaeologist Neil Weintraub. We talk about fire archaeology, vandalism in the forest, and public outreach. On today's episode we talk to Paleowest Archaeology about their experiences creating 3D and virtual reality rock art from Little Petroglyph Canyon in California. They gave a poster about the subject at the 2017 Society for American Archaeology Conference in Vancouver, Canada this year. Check out this links below. On today's episode Dr. Alan Gold tells us about Newberry Cave - a fantastic prehistoric resource in southeastern California.